We love to travel like locals. 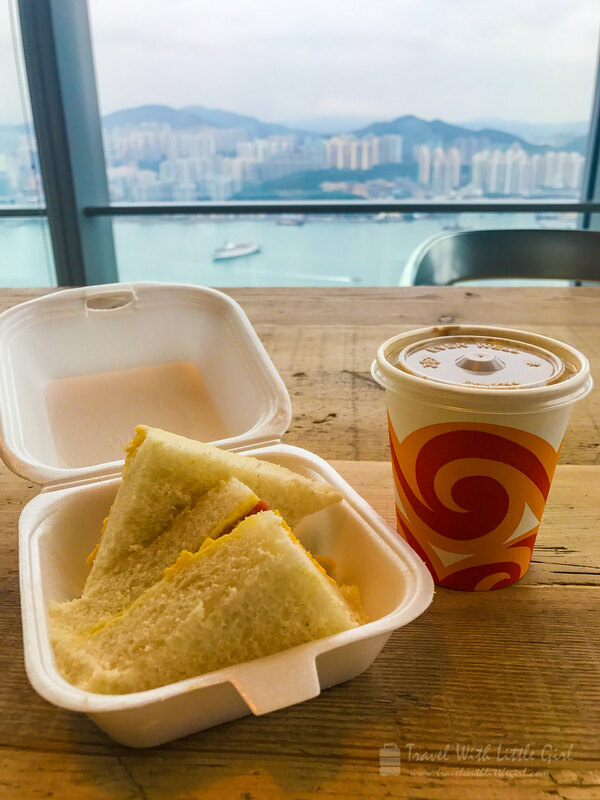 Since young, we saw the Hong Kong cafes, the ones that the locals usually go for breakfast in many Hong Kong TV series drama scenes. Big boy and I love it and we want to go there someday! 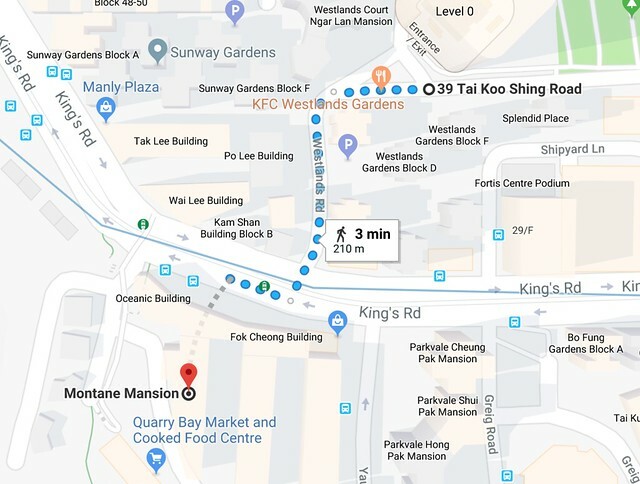 In this short trip to Hong Kong, we were very fortunate to find one by chance near Tai Koo Station. We were actually walking around after visiting the Montane Mansion and manage to find that. 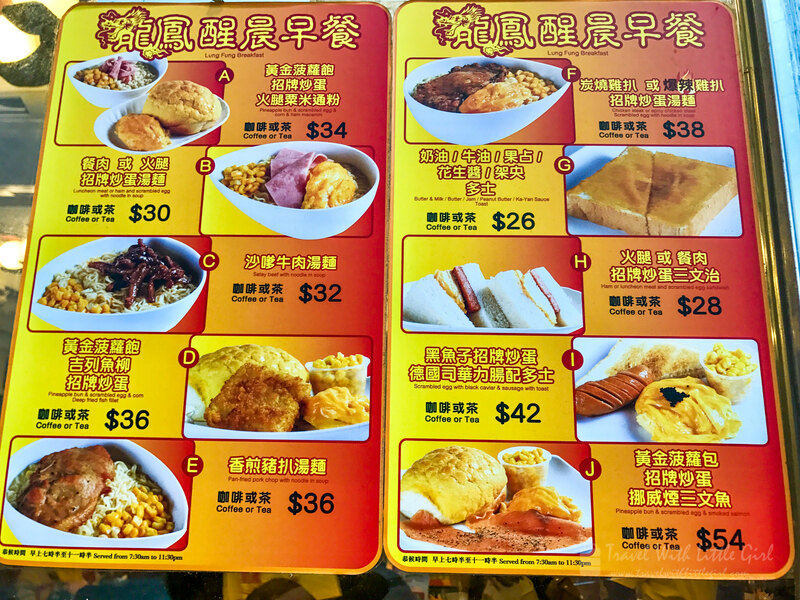 There is a variety of Hong Kong Breakfast selection. The price is rather reasonable which is around HKD24-54 (USD 3-7). 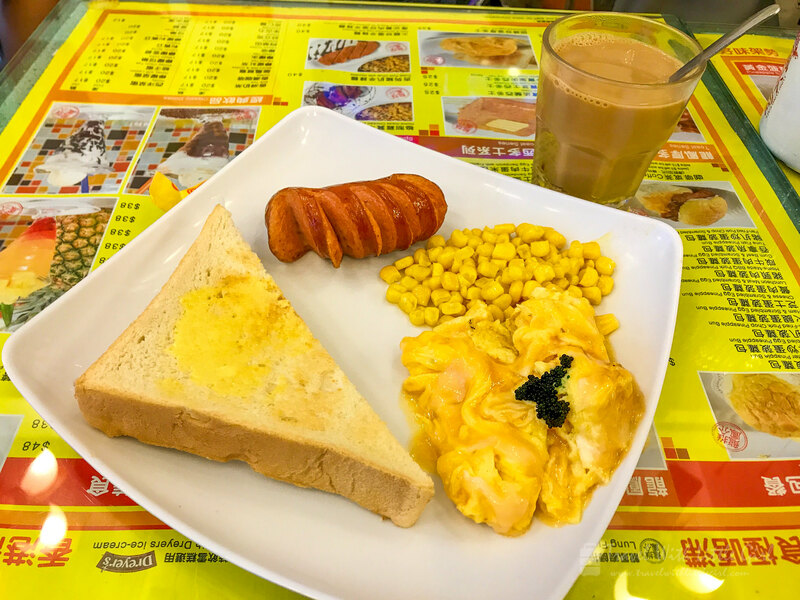 And this breakfast set includes a drink which is either a tea or coffee. The coffee wasn’t as strong as those we had in Singapore but it is good. 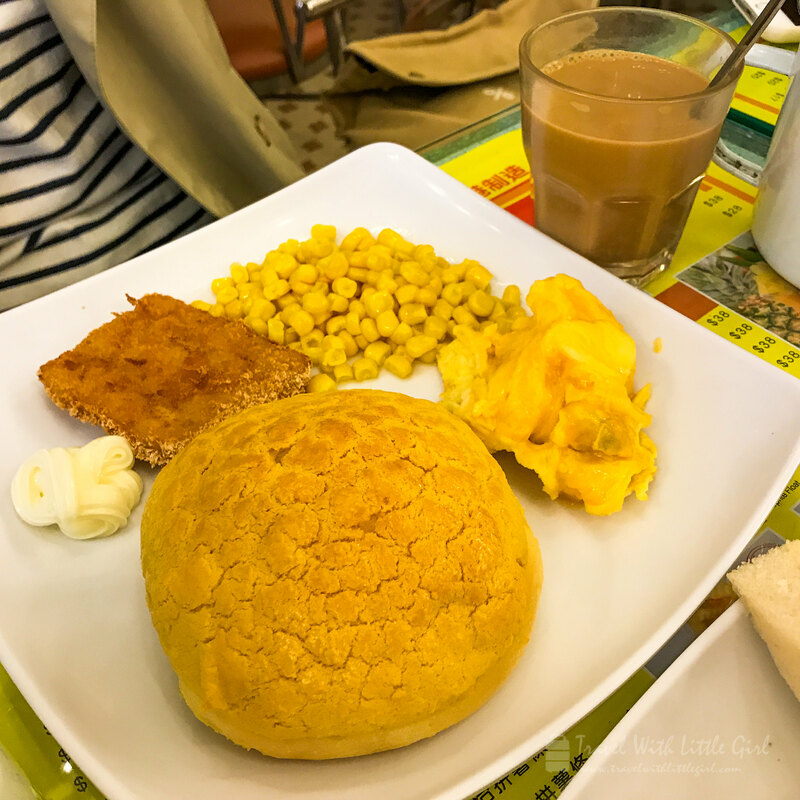 The pictures speak a thousand words and we are lucky to have friends with us to try the different type of their breakfast set. You can also pack your breakfast which I did for one of the days. If you had ordered too much you can also ask for a takeaway box (which you will need to pack it yourself). 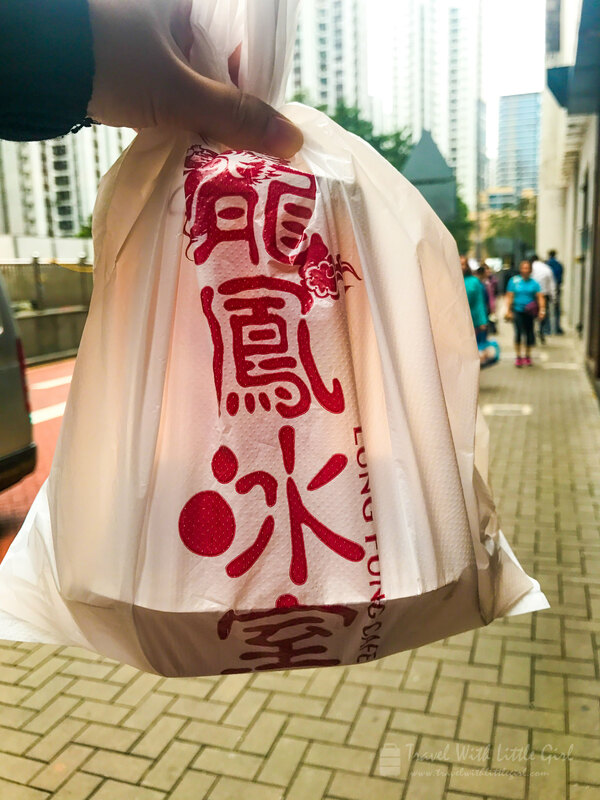 They did do a good job in their branding as I see it almost everywhere including their takeaway plastic bag. 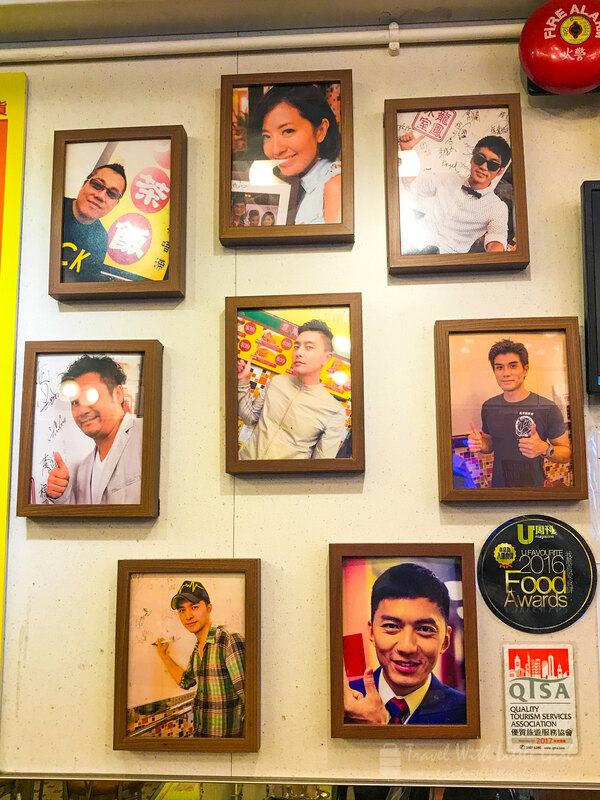 There are also lots of celebrity photos in their cafe. In addition, I saw awards as well on the walls. 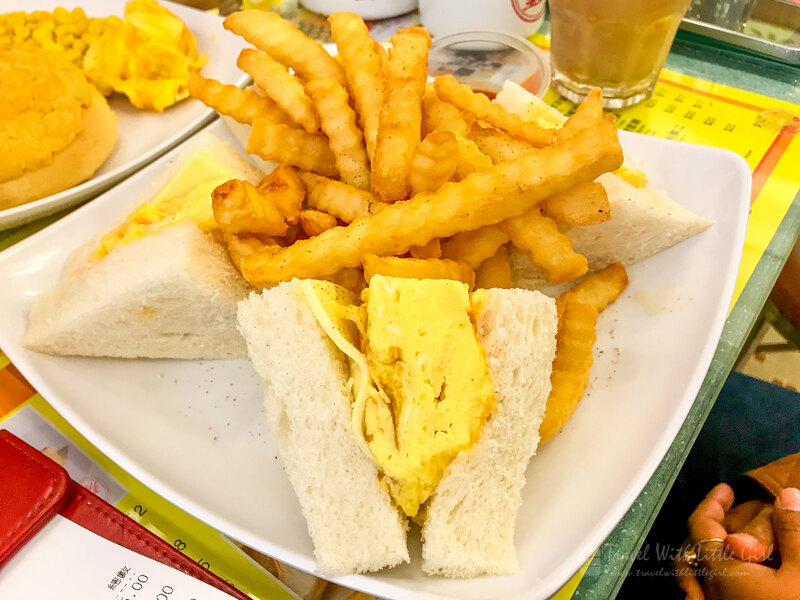 It is actually a nice place to enjoy the Hong Kong Style breakfast or high tea. We realized later that there are other outlets. 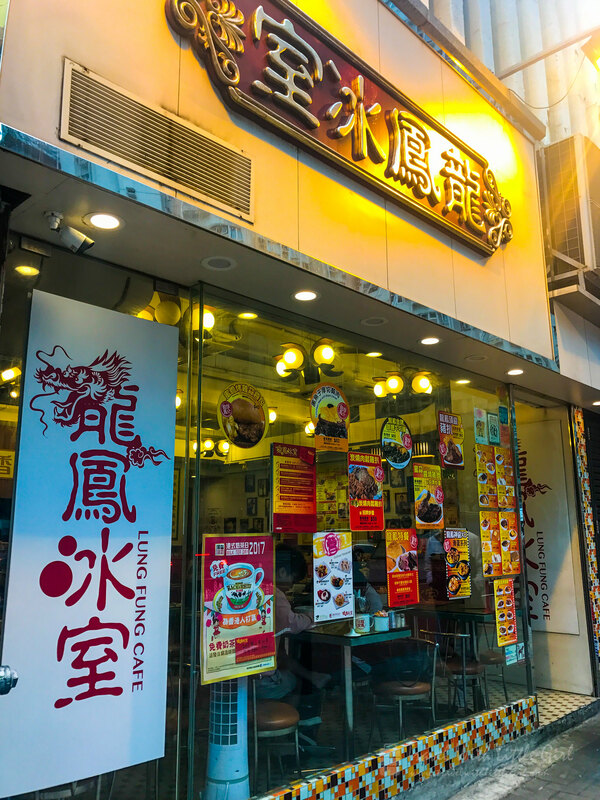 So if you are near any of their outlets, it is worth dropping by and enjoys the place like the locals do. We are not paid to promote this cafe. 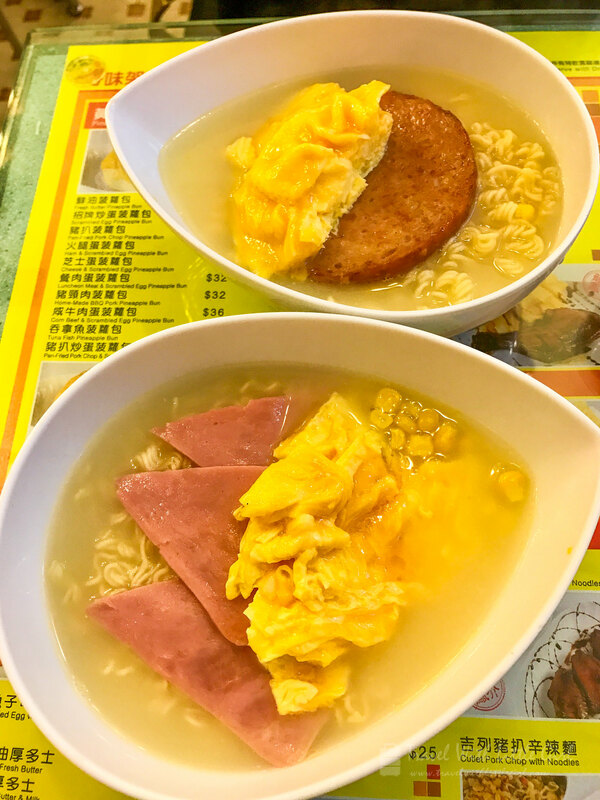 We were walking around Hong Kong and found the cafe by chance, and love to share this information with everyone who would like to try out the local Hong Kong Style cafe.